EXPIRED: $20 off a 1-year Season Pass - To get $20 off a 1-year season pass, type in "BGWUPFC" in the promo code box when you buy your season pass online at Busch Gardens Williamsburg. It worked, but to be honest, I haven't seen something similar in recent years (although I sometimes see such discounts for Busch Gardens Tampa). So don't expect to find such discounts often. HOWEVER, the park's new season pass deals DO have some added benefits these days, making them a good deal for many people who want to visit the park more than once. I'll show you what I mean below. This Busch Garden Discount Ticket pass includes admission to Busch Gardens (except during blackout dates) during the spring/summer season, Howl-O-Scream, plus Christmas Town. Blackout dates are mostly Saturdays during the spring/summer season and Howl-O-Scream, and Saturdays/Sundays during Christmas Town. You'll also get 50% off parking, 10% off food and shopping, in-park discounts, and discounted guest tickets. This does NOT include membership at Water Country USA. Includes admission to both Busch Gardens Virginia and Water Country USA (NO blackout dates) during the spring/summer season plus Howl-O-Scream and Christmas Town. You'll also get FREE parking (that's worth $20 each visit), in-park discounts, and two free guest tickets, plus discounted tickets. Includes admission to both Busch Gardens Virginia and Water Country USA during the spring/summer season plus Howl-O-Scream and Christmas Town. You'll also get FREE PREFERRED parking (when available), 15% in-park discounts, and three free guest tickets, plus discounted tickets. Includes admission to both Busch Gardens Virginia and Water Country USA and 9 other Sea World Parks (NO blackout dates) during the spring/summer season plus Howl-O-Scream and Christmas Town. You'll also get FREE PREFERRED parking (when available), 15% in-park discounts, and three free guest tickets, plus discounted tickets, a free Photo Key, and free Ride Again access. Obviously, the main distinction for most Virginians is whether to get the Basic or the Unlimited plan. You can do the math and determine whether the extra amount a month for the Unlimited plan is worthwhile for increased flexibility (no blackout dates), totally free parking (instead of only 50% off), and two free guest tickets. Check out these new Season Pass freebies! Once again, the park is promoting the better season passes by offering ADDITIONAL freebies each month-- yes, in addition to the free Busch Garden discount tickets for guests, free parking, and preferred parking (noted above). Here is just a sampling of what these additional freebies have included in the past. No word yet on exactly what they will be this year. They are real added benefit deals which might make it easier for you to decide on whether a season pass is right for you. These are just a FEW of the deals. For a full list by month, click here. 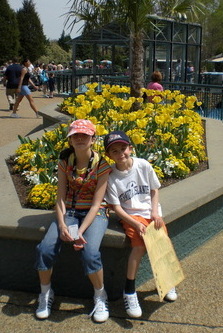 Here are some Busch Garden discount ticket deals tips...plus one "deal" place to avoid! 1) BUY EARLY! By your pass before the Pass Member Preview day if you want to lock in the lowest price, as they tend to go up after that. 2) Spread out your payments - It doesn't actually save you money, but it makes the payment more manageable if you spread your payments out over a year. 3) Check out your local parks and rec center - For example, the Virginia Parks & Recreation site used to offer $3 off Busch Gardens Fun Cards and Water Country USA Fun Cards. You could also buy single-day tickets from them for about $20 off. But the last few years, they've only offered Kings Dominion deals. This may or may not be true of your county's parks and rec center, so check them out. 4) Avoid the Virginia Recreation and Parks Society site! - Here's a supposed deal I came across. AVOID IT! The group claims to be a non-profit group dedicated to promoting Virginia parks. Maybe it is, but I find their offer misleading. They claim to offer Fun Cards for a huge discount...good so far. But guess what? They then tack on a whopping $9+ for shipping and handling! Skip 'em! 5) Get a free season pass holder! One of the perks of season passes (except for the Fun Cards) is that you can use them to get discounts throughout the park. For example, you can get 10% discounts at Busch Gardens Williamsburg restaurants and shops. But you don't want to have to keep pulling your card in and out of your wallet (that's a great way to lose it!). So when you first get to the park, stop at the Guest Relations building (it's on your right, just after you go through the turnstiles at the entrance. Go in and ask them for a pass holder and they'll give you as many as you need. The pass holders are plastic sleeves (yes, they'll keep your pass dry on Griffon and Escape from Pompeii) which are clipped to a lanyard you hand around your neck. So whenever you buy something, just flash your card! Busch Gardens Williamsburg address: One Busch Gardens Blvd. Williamsburg, VA 23187-8785. 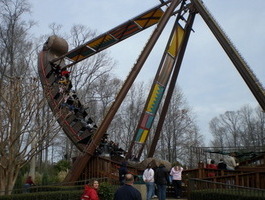 Busch Gardens Williamsburg Phone number: (800) 343-7946. So that's it for now...I wish there were more season pass discounts, but as you can see, they're really far and few between. I'll keep you posted if I find more! 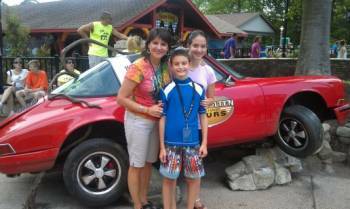 Looking for other Busch Garden discount ticket secrets? If you're like me, you're looking for bargains all the time. 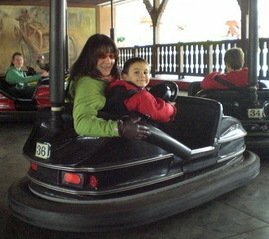 Check out my extensive Busch Gardens Williamsburg section and you'll learn everything from how to get Busch Garden discount ticket deals on single-day tickets to the park's hours and operating schedule. If you're a member of the military, take advantage of the "Here's to the Heroes" program. Here's how to get your special military discounts, plus military discounts for other attractions, hotels, etc. Looking for discount ticket secrets at other Virginia attractions, like the Virginia Aquarium, Kings Dominion, Historic Williamsburg, Jamestown, Yorktown? Go to my Discount Tickets & Travel Deals page where I'll show you how to plan a cheap family vacation, saving you money on hotels, resorts, gas, restaurants, and more.